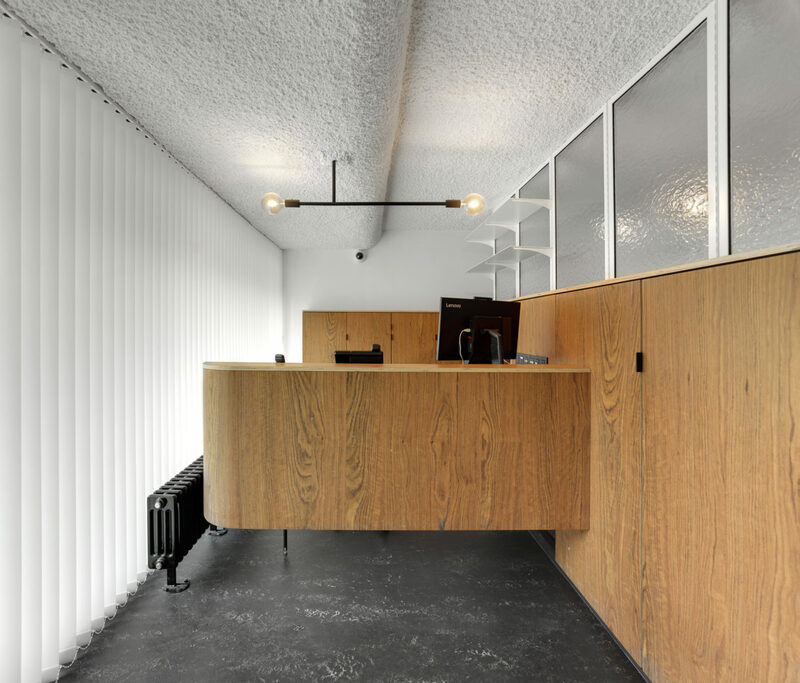 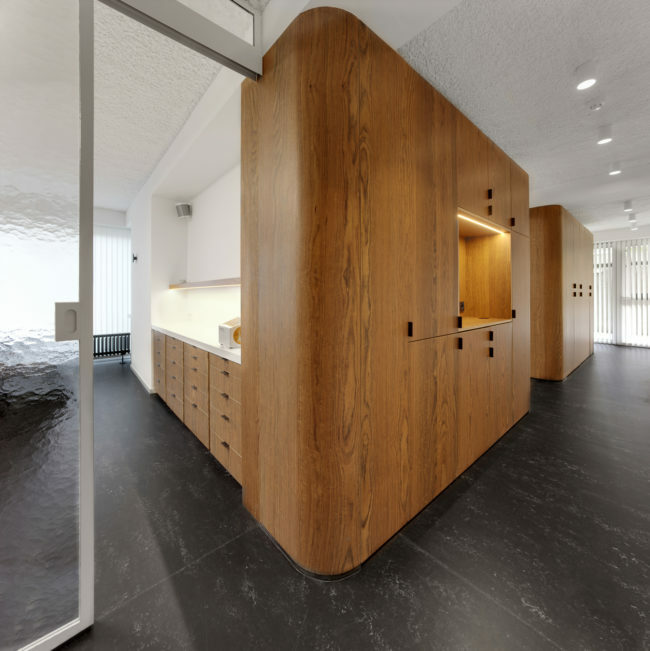 ​In a Berchem apartment building dating back to the 70’s a new dentist’s practice is created in the commercial plinth. 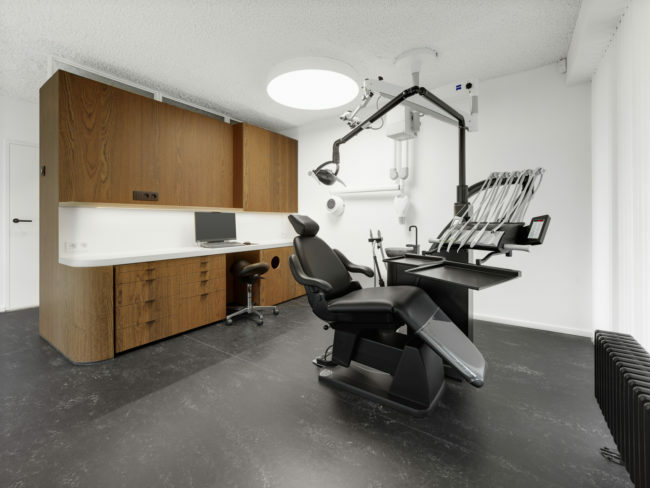 Two commercial units are connected and after having unravelled the old techniques the entire space is filled with state of the arts dental units. 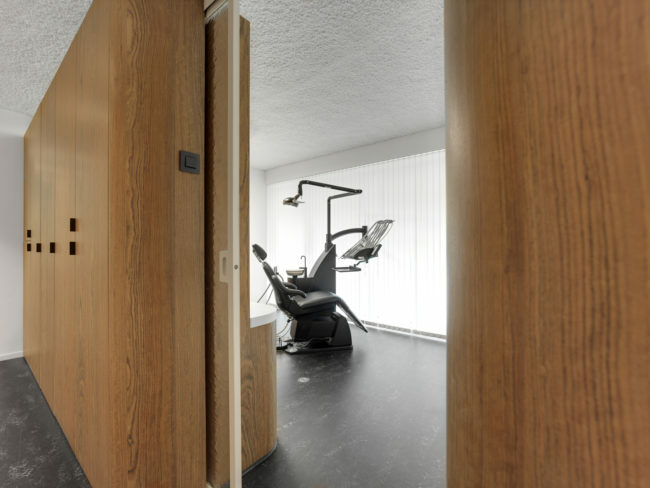 The four treatment rooms are organized against the façade giving the patient a view on the green surroundings. 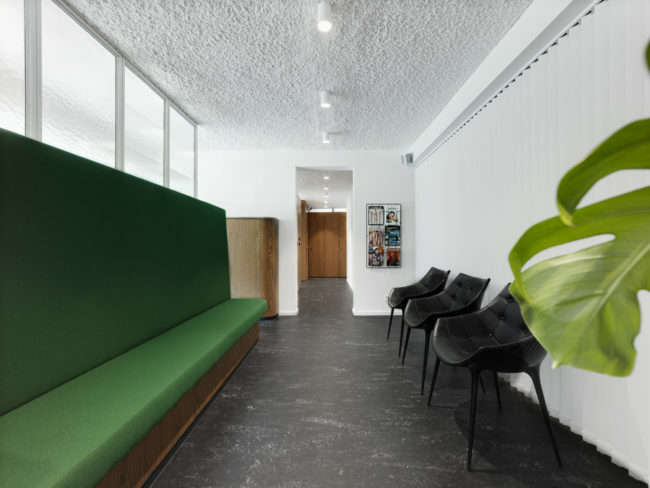 The entire dental practice is partitioned by static volumes, furniture that are reminiscent of the splendor of the seventies and that contribute to a comforting cosiness.